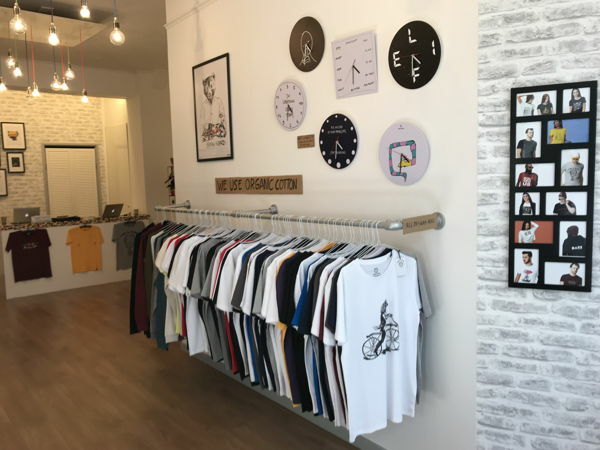 BARE TURTLE is a Concept T-shirt store and an inspiration place for the young T-shirt designers and illustrators around the world who are looking to promote their products and test how they sell in a brick-and-mortar space. 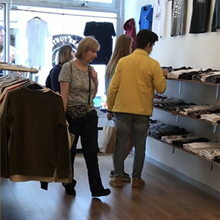 The shop is located on Gierstraat, in the famous Golden Streets area of Haarlem. 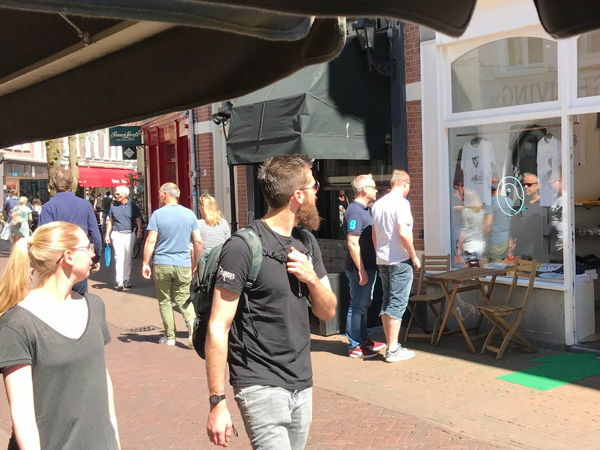 Haarlem has deservedly been voted Best Shopping City in the Netherlands many times and Bare Turtle Store is located in a stunning, extraordinary A-location. Once you set the starting and the closing day of the period you want us to display your offer, please upload at least 3 (but no more than 5) photos the T-shirt brand you would like to promote and sell in our store. Please make sure that the photos are of good quality because our team will decide upon your application based on these photos. Attention: we do not accept every application submitted. You don't have to pay anything in advance (before your application is accepted). In case your application is approved, we offer you stack places on shelves, and rail, wall and desk display places for rent + free reasonable deposit space at the back of the shop. The stack place on the shelf is 35 cm x 40 cm x 8 cm. The price for a stack starts from as little as €3,50/day/stack and there are no other fees - no sales commission, no utilities, nothing else! You choose the price for your products and get the whole sum for which they're selling, when they sell. * You can rent a single stack place on a shelf in our shop for only €7/day. * If you rent 2 to 6 stack places, the price is €5.5/day/stack place. * 1 T- shirt displayed on the rail: €0.99/T-shirt/day. # The above listed prices do not include VAT or/and transportation costs.